Beautiful Yolan Cris vintage style dress. 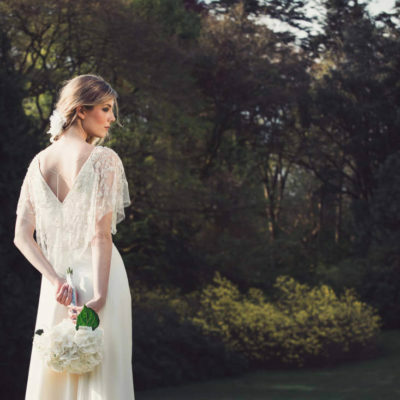 Aurora features a Cream/Ivory lace overlay with jewelled embellishment. 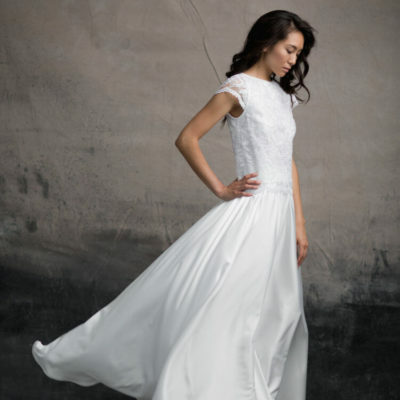 V neckline with lace shoulder detail and a tulle train with low dip back. Fabulous veil with lace appliques to compliment the dress included.